My main purpose for the duffel was travel. I have always been a light traveler, so one medium size laptop backpack is all I need for a week-long trip. However, I got tired of having to empty out my backpack in the hotel room in order to use the backpack throughout the trip (KEY: washing and hanging in the hotel room is critical to keeping my load as light as possible). Also, I can always stuff this into my backpack in case I ended up needing more space on my return-trip (you never know if you see a good deal you can’t pass up while traveling :p). I set out to look for a light weight duffel that can (1) store all my clothing and leave my backpack more ready-to-go once I get to my destination, and also (2) be used for outdoor activities (e.g., beach, picnic, canoeing), where my I’d rather not use my everyday backpack (usually carrying my laptop). 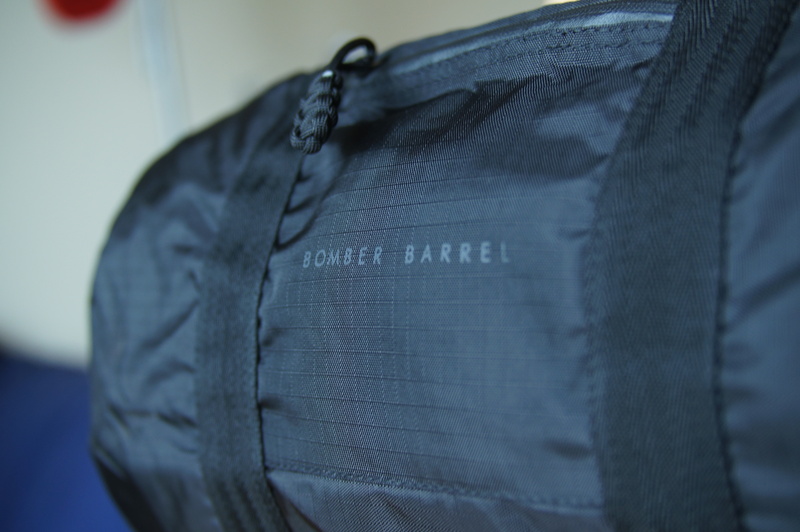 The Bomber Barrel Duffel Bag fits these two descriptions, so I backed the campaign. The bag arrived last month, and so far, I’m quite happy with it. In addition to the two uses I planned to use it for, it also serves as my light gym bag (when I don’t need all my sparring gears).